So when I was told about the topic for this week's edition of Fashion February, I was delighted! All through this autumn/winter I have been wearing a lot of tartan! My favourite way to style tartan is in small portions. For example, with tartan accessories or just one main garment. 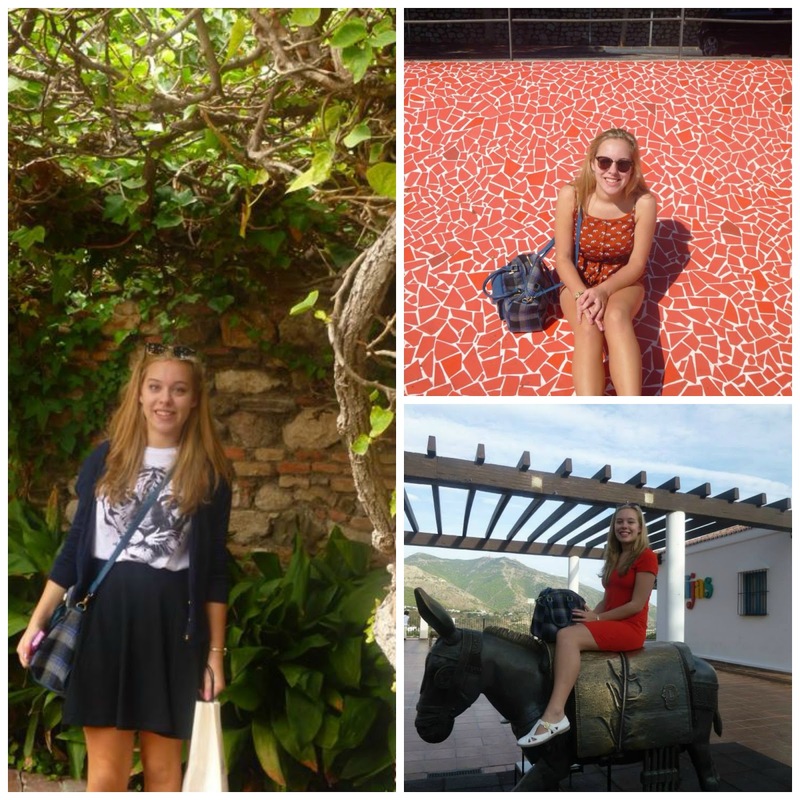 I will show you some ways which I wore tartan over the last few months! This tartan bag is from H! by Henry Holland (Debenhams) which I could incorporate into countless different outfits. I love the unusual use of blue and grey colours which you don't see very often in tartan! 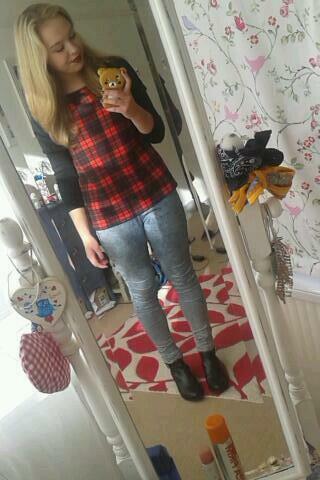 I LOVE this tartan top from Primark. Its so easy to wear casually with jeans or you can dress it up with a black skirt and heeled boots. 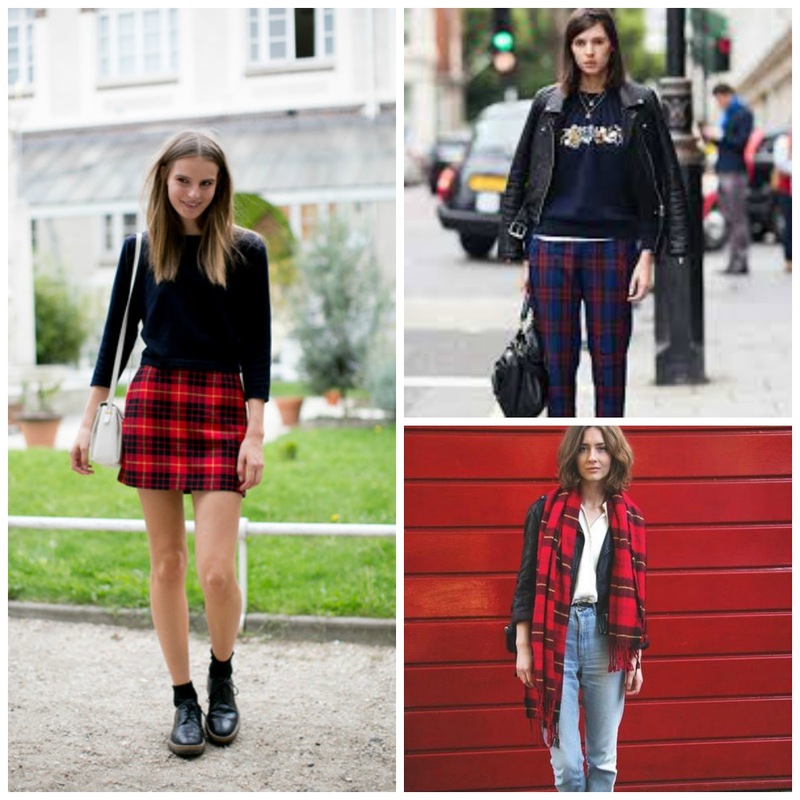 I found some really cool street style outfits which also incorporate tartan. I especially love tartan scarfs (the one pictured is from H&M). I really enjoyed writing this post about one of my favourite fashion trends! I love tartan! That top from Primark is so cute! I love a bit of tartan! I love your tartan bag!